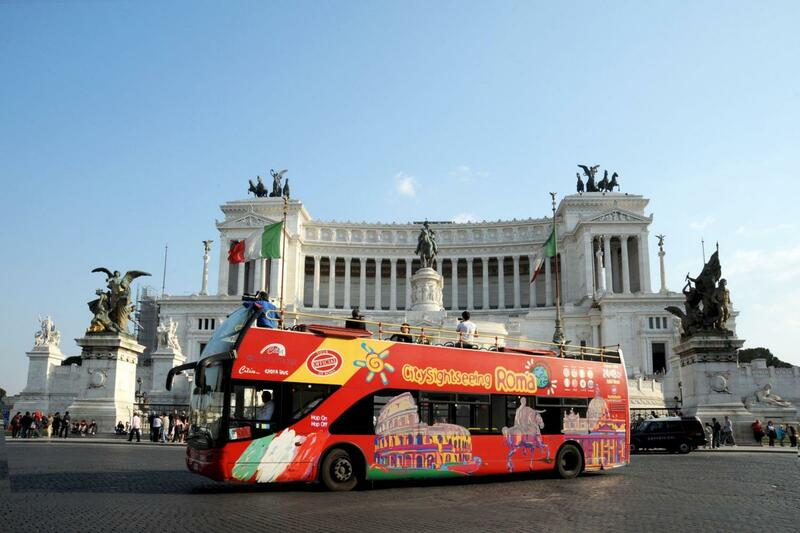 City Sightseeing Rome will allow you to travel through history and visit the places where the ancient Romans lived their social and political life as well as to admire the great Papal Rome, with its fine buildings and beautiful churches, by just sitting comfortable on board our buses. 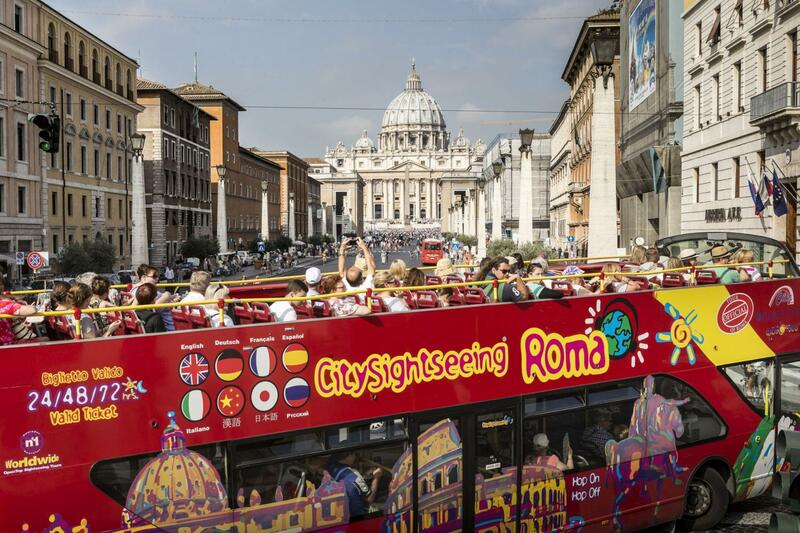 You will be able to visit the many churches, monuments, palaces, squares and streets of Imperial and Christian Rome, of Baroque and Modern Rome. Each bus has a highly technological, multilingual commentary system in eight (8) languages available for every passenger, which will not only keep you entertained, but also well informed about the city. 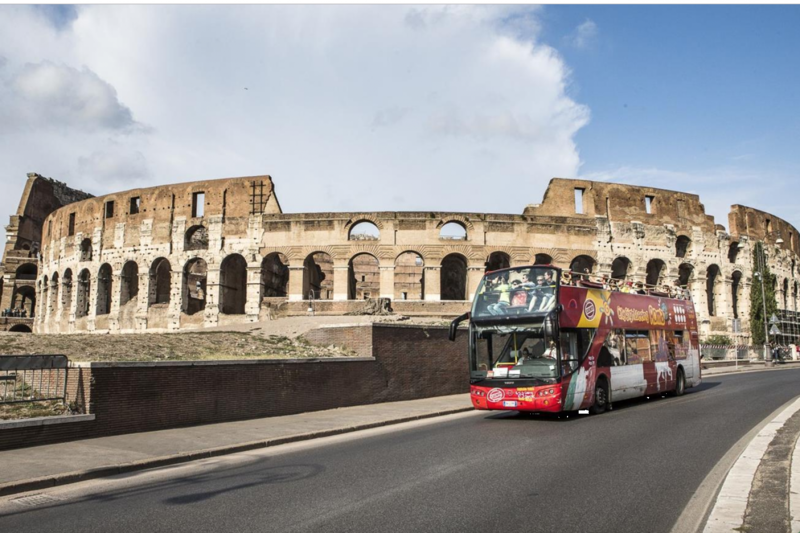 Skip the lines and get the VIP entrance to visit the Colosseum, Roman Forum and Palatine Hill. 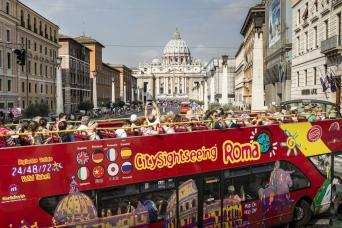 The ticket includes the entrance to the Roman Forum and the Palatine Hill. Visit the Colosseum, the most imposing of all roman monuments, where thousands of men and wild animals were put to death in front of a blood-thirsty audience. 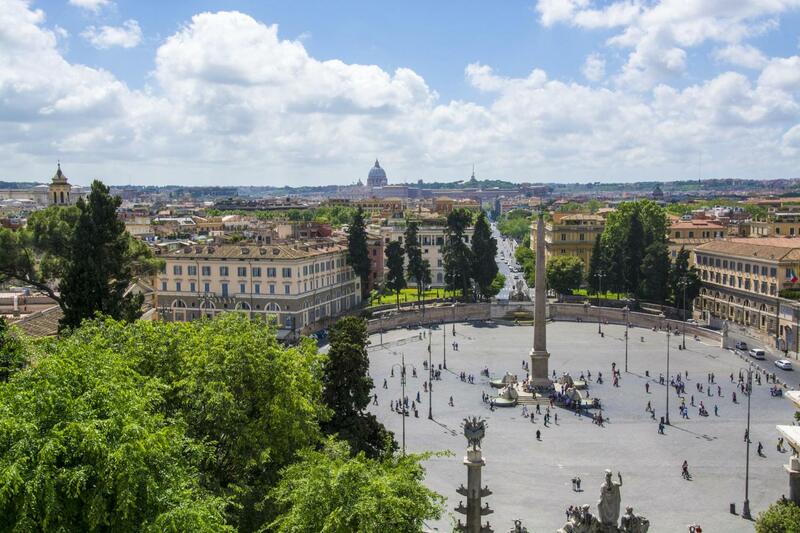 Walk through the heart of the Ancient city, the Roman Forum, see the very sight where the body of Julius Caesar was cremated, the Arch of Titus, the Temple of the Vestal Virgins, the Senate House, the ancient market, the brothels and walk on the Via Sacra, where legions once marched during the triumphal parades. Visit the Palatine hill, the core of the Seven Hills, one of the most ancient parts of the city. Colosseum, Forum and Palatine Hill skip the line entrance ticket. The skip the line ticket is available for any day, the entrance will be allowed only after 3.00 p.m. The Colosseum will be closed each 1st Sunday of every month.